Real estate in Lithuania is considered one of the cheapest in all Europe today. After the crisis time prices have dropped sharply and only now begin to rise slowly. This increases the demand for real estate, and thus construction raises in large cities of the country, especially in the capital of Lithuania – Vilnius. Even in the capital the prices are very loyal, e.g. new apartment with 2 bedrooms in a good area costs 50-60 thousand Euro. In some small towns you can buy an apartment even for 10 thousand Euro. 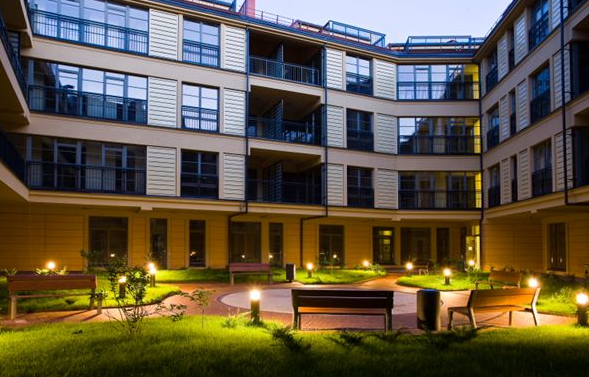 Buying real estate in Lithuania is a good type of investment for foreign citizens. First of all, buying an apartment in Lithuania provides one-year multivisa and automatically foreigner gets the right to travel to all countries of the European Union. Secondly, it is possible to buy property and let it for renting, getting good profit (and get Schengen visa to Europe). Also property prices rise gradually, so it’s a good kind of investment. It should be noted that the purchase of apartment does not allow obtaining residence permit in Lithuania, but there is an option to buy real estate in Lithuania, register company in Lithuania and register apartment on the company. As a result, the person receives residence permit in Lithuania and may let apartment for rent, paying minimum taxes. Our company will find necessary property at your request and for good price, will help to register business in Lithuania and obtain residence permit in short time. Pictures of the apartment (one bedroom), which costs only 5000 Euro. Please feel free to as any questions and send any requests.